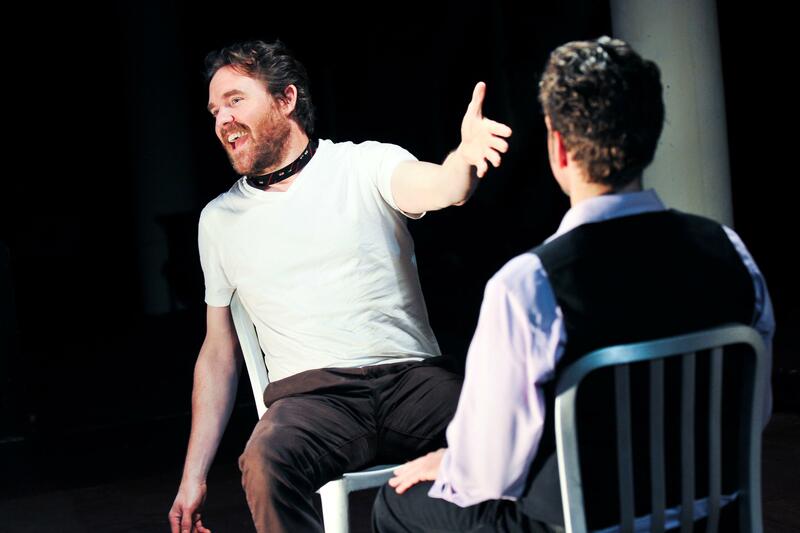 When New York actors Eric Tucker and Andrus Nichols chose the name "Bedlam" for their upstart theater company in 2012, they no doubt intended it to convey the energy and audacity of their mission. Using minimal staging and bare spaces, Bedlam sought to recreate canonical classics with postmodern zeal. The idea worked: Bedlam's debut - a marathon performance of George Bernard Shaw's 1923 tragedy Saint Joan, based on the trial of fifteenth-century French heroine and martyr Joan of Arc - earned a deluge of acclaim. Four actors played two dozen characters; The Wall Street Journal called it "an experience so intense and concentrated that you'll feel as though you were part of the action." Bedlam doubled down by producing Shakespeare's Hamlet - the Bard's most popular play, a tale of murder, madness, and revenge in a highly dysfunctional royal family - with the same four actors, played in repertory with Saint Joan. "Bedlam gives us Shakespeare and Shaw with the enthusiasm of youth. Two of the talkiest plays in the English language are, in this case, a whole lot of fun," raved The New York Times. In a rare trip south of Brooklyn, Bedlam brings its kinetic, interactive productions of Hamlet and Saint Joan to Duke's intimate von der Heyden Studio Theater. Not to be missed.